1) (cos. Cornwall and York). Erm. (another, or) a cher. sa. cotised gu. betw. three birds az. 2) or Drewe – (Cliff and Higham, alias Norton, co. Devon, Broxbourne, co. Hertford, and co. Wilts). (Heathfield Towers, co. Cork). Erm. a lion pass. gu. Crest—A bull’s head erased sa. armed or, in the mouth three ears of wheat gold. 3) (Drew’s Court, co. Limerick; descended from co. Devon). Same Arms. Crest—A bull’s head erased sa. in the mouth three ears of wheat or. Motto—Drogo nomen et virtus arma dedit. 4) (South Broom, co. Wilts). Erm. a bull pass. gu. within a bordure gobonated or and az. Crest—A lion’s head erased gu. gorged with a collar gobony or and az. 5) (1426). Gu. on a chev. ar. three roses of the field seeded and barbed ppr. 6) Gu. on a chev. ar. betw. three roses or, five mullets of the first. 7) Gu. on a chev. ar. betw. three cinquefoils or, five mullets az. 8) Chequy or and az. a bordure engr. gu. 9) Or, a chev. sa. cotised gu. betw. three birds az. 10) Gu. a saltire erm. 11) Sa. two swords in saltire ar. hilted or, betw. four fleurs-de-lis of the last. 12) (Kyllerton, Sharpham, and the Grange, Broadhembury, co. Devon; allowed to Sir Edward Drewe, Knt., of Kyllerton, by Cooke, Clarenceux, 1593). Erm. a lion pass gu. Crest—On a mount vert a roebuck saliant or. 13) Ar. three roses gu. Crest—Two arms from the shoulder couped in saltire ppr. vested ar. each holding a scimetar in pale of the first. 14) Or, a chev. sa. cotised gu. betw. three moorcocks of the second. The last name Drew has four origin theories. First, is a baptismal surname meaning “the son of Drew”, “the son of Dru”, or “the son of Drogo”. The personal (first) name was spelled Drogo in the Domesday Book of 1086 AD, which was a survey of England and Wales ordered by William the Conqueror. It was popularized by Dru de Baladon (or Balon or Ballon), a companion of William the Conqueror (born in 1050 AD), son of Walter de Ponz. The name was also borne by an illegitimate son of Charlamange and may be Frankish. The name Drogo is a Germanic given name deriving from the Old Saxon word gidrog, meaning phantom or ghost. Second, it may be a nickname from the Old French word dru or Old High German drut, deriving from a Gaulish word, meaning lover. 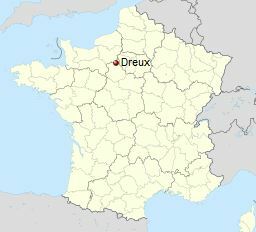 Third, it may be a locational name given to a person who was from places in France named Dreux, named after an ancient tribe in Gaul (Roman named for France) called the Durocasses. Fourth, it might also be an Anglicized form of the Gaelic surname MacAndruaifh or O’Druaidh, meaning descendant or son of the druid (druids were priest or magicians in the ancient Celtic religion, deriving from the Welsh derwydd or Old Irish drui). Fifth, it may be a shortened version of the common surname Andrew(s) (derives from the Greek Andreas), although some sources rule this out as a possibility. One source asserts the families genealogy and ancestry descends from Herman de Drewes, who was a tenant in chief in Herefordshire. A tenant in chief was a person who held lands that were tenured by the king or prince to whom they would pay homage in early modern Europe. The Domesday Book listed several Drogos, one of whom possessed vast lands in Drewscliffe and elsewhere in county Devon, England. In his book the Surnames of Scotland, George Fraser Black states the following in regard to this last name and its genealogy: “A common surname in the Campsie Commissariot Record. Drewe, capellanus, charter witness in reign of Alexander II.John Drew and James Drw were tenants of the bishop of Glasgow in 1512, and Patrick Drw was renter of the land of Badirmonoch in 1517. A John Drew is mentioned in 1526 . William Drew was a witness in Glasgow in 1552 and John Drew, maltman, became burgess freeman in Glasgow in 1577 (Burgesses). 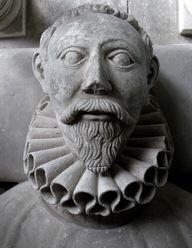 John Drew, heir of Patrick Drew in Jaw, 1581”. Common spelling variants or names with similar etymologies include Drewe, Drews, Druse, Druce, Drewes, Dru, Drue, Dreu, Drwy, Dreus, Drewett, Drewrie, and Drues. Diminutives include Druett or Drewett. The last name ranks Stevens ranks 1,451st in popularity in terms in the United Status as of the 2000 Census. The name ranks particularly high in the following seven states: New Hampshire, Massachusetts, Maine, Rhode Island, South Dakota, Vermont, and Idaho. The surname is also common in England, where it ranks 594th. It ranks highest in the following counties: Herefordshire, Wiltshire, Devon, Gloucestershire, Norfolk, and Cornwall. The name is common throughout the English speaking world: Scotland (), Wales (524th), Ireland (1,266th), Canada (1,639th), New Zealand (1,437th), Australia (515th), and South Africa (3,948th). The earliest known bearer was Wado de Dreux who lived in 1050 AD. The second documented bearer was Amalric de Drewes who owned property in Wiltshire and was listed in the Domesday Book of 1086 AD, which was a survey of Wales and England ordered by William the Conqueror. The third known bearer was Ralph Dreu who was documented in the Calendar of Abbot Samson of Bury St. Edmunds in 1188 AD. The Hundred Rolls of 1273 AD, a census of Wales and England, known in Latin as Rotuli Hundredorum lists four bearers of this surname: William filius (son of) Drogonis in county Lincolnshire, Eborard Dru in county Cambridgeshire, Isouda Drewe in county Huntingdonshire, and Gilbert Dreu in county Oxford. A one William Dryw was documented in the Subsidy Rolls of Worcester in 1275 AD. John Drew was listed in the Subsidy Rolls of Cambridgeshire in 1327 AD. The Poll Tax of Yorkshire in 1379 AD lists two bearers of this last name: Johannes Drewe and Robertus Drue. A one Richard Drue or Drew was bailiff of Norwich in 1392 AD (FF). An early marriage involving this surname was John Drewes to Dame Elizabeth in London in 1527 AD, as well as James Druce (a more modern spelling) to Sarah Dutton at St. George’s Hanover Square, also in London, in 1803. The Counts of Dreux, a location in France between Ile-de-France and Normandy, were a noble family, who took their title from the chateau there. Robert I of Dreux was the grandson of King Louis VI of France (reign 1108-1137 AD). A one Sir Dryw (Drew de) Baladon (or Balon, Ballon) was born in 1050 AD. He had a daughter named Emma Balum who was born in 1080 AD. She had a son named Dryw ap Gwyn who was born in 1100 AD in Wales. He married Isabel Wallis and had two issue with her: Ivo Wynston and Gwaithfoed ap Drew. A one Bernard Drew was born in Westmeath, Ireland in 1781. He married Catherine Nally and had a son with her named John. John was born in 1806 in Lankertown, Ireland. He married Rose Reilly and had issue with her: James, Catherine (McGee), Bryan, John, and William. He went to the United States. 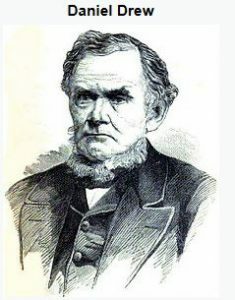 His son James was born in 1834 and he married Theresa Cusick, with whom he had a son named George. George was born in 1872 in Barr Township, Indiana. He married Lillian Agnes Costello and had numerous children with her: Norbert Joseph, Camilla (Gallagher), Paul G., Joe, Rose Agnes (McKinstry), John Betnard, and Ralph Patrick. The famous genealogist Bernard Burke’s book “The Landed Gentry” discusses three branches of this family: Drew of Drewscourt, Drew of Heathfield Towers, and Drewe of the Grange. He also discusses the genealogy and pedigree of another family: Drewett of Jarrow Hall. The first begins with a mention of Francis Massy Drew, Esq. of Drewscourt in county Limerick who was born in 1838 and was Captain 7th Hussars. He was also a Justice of the Peace and in 1874, he married Mary Anne, daughter of Anthony Wilkinson, and had two issue with her: Clennell Frank Massy (1877) and Everina Mary Massy (1875). This family is a junior branch of the Norman family of Drew, of Drewscliffe, Hayne, and Sharpham. Francis Drew was an Esquire of Kilkenny in county Waterford and of Meanus in county Kerry, who went to Ireland, and was a Captain in the army of Queen Elizabeth I of England in 1598. His second wie was Susanna, daughter of Leonard Knowel, with whom he had issue. One such issue was Barry Drew, Esq. 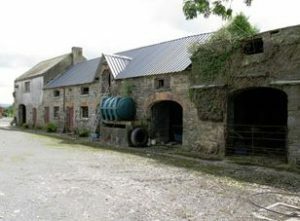 of Ballduff in Waterford and Drew’s Court in Limerick. Barry received estates from the Earl of Cork and Burlington, and during the reign of King James II, he married a daughter of Sir Francis Foulkes, and he later married Ruth, daughter of William Nettles of Touraine. He had two sons: John and Francis. The elder son Francis was his heir and was High Sherrif in county Limerick in 1718. He married Margaret, daughter and co-heir of John Rindrose on Moynoe House, and had issue with her: Francis, John, Barry, Ringrose, George Purdon, Alice (married Charles O’Neill), Jane (married Reverend Robert Nettles), Ruth (married Joseph Hall), and Margaret (married a member of the Nash family). His fourth son Ringrose Drew was of Skally, Coolrea, and Drewsboro. Ringrose married his cousin in 1750: Jane, daughter of James Molony, and had issue with her. His eldest son was Francis Drew, Esq. of Drewsobo who was High Sherriff in county Calre in 1788. In 1782, Francis married Frances, daughter of John Odell of Bealduroghy. They had two sons: Ringrose and Francis. His heir was Ringrose, who married Alicia, daughter of John Willington of Killoskeane, and had three issue with her: Francis, Frances (married John Tully), Alicia Willington (married Reverend Robert William Nesbit), and Elizabeth (married Kivas Tully). His son Francis was born in 1812 and in 1833 he married Honorable Margaret Everina Massy, daughter of Hugh, 3rd Lord Massy. They had four children together: Francis Massy, Ringrose, Margret Everlina (married Charles Conyers), and Alicia. They Drew family crest was blazoned as follows: Ermine a lion passant gules, with a crest: A bull’s head erased sable, in the mouth three ears of wheat or. The second branch or pedigree begins with a discussion of the Reverend Pierce William Drew, B.A. of Heathfield Towers in county Cork, Ireland, who was the Rector of Youghal. He was born in 1779 and he married Elizabeth, daughter and heir of Thomas Oliver, and had numerous issue with her: Pierce William, Thomas, Matiola Rowena (married Reverend David Henry Elrington), Elizabeth Mona Brougham (married Reverend Henry Bickerstaff), Elizabeth Oliver and Catherine Henrietta (the latter married David F. Lambert), Alice le Poer, Christina Rebecca Pomeroy (married William Thomas), and Agnes Naylor (married Sir Edward Henry Meredyth). Burke traces the lineage back to John Drew, Esq. of Ballyduff House who married his cousin (in 1713): Margaret, daughter and heiress of Francis Drew, and had issue with her. The youngest son was Dr. Francis Drew, Esq. of Meanus, Listry, and Rockfield in county Kerry and Ballyduff House, Waterpark, and ,Mocollop Castle in county Waterford. In 1752 he married Arabella, daughter of co-heir of Colonel William Godfrey of Bushfield. They had several children together: John, Francis, Barry, and William. His eldest son and heir was John Drew, Esq. of Listry and Rockfield in county Kerry and of Frogmore near Youghal in county Cork. In 1786, he married Alicia, daughter of Pierce Power of Affane, and had issue with her: Francis, John (married Helen Elmore), Reverend Samuel Browning, Reverend Pierce William, Arabella, Elizabeth, Catherine, Alicia (married Henry Lindsay). He was succeeded by his eldest son Francis Drew, Esquire of Meanus in county Kerry and Frogmore near Youghal. He married Jane, daughter of Thomas Garde, Esq. of Ballindinis. He had issue: Francis, John, Elizabeth, Deborah, Rebecca, and Louisa. The Drew Family Crest had the following blazon in heraldry: Ermine, a lion passant gules, with a crest: A bull’s head erased sable, in his mouth three cars of whear or. The third branch begins with a discussion of Francis Edward Drewe Esquire of the Grange Devon, a Colonel in the army,of the late 23rd Royal Welsh Fusiliers, Knight of the Legion of Honor, and a Justice of the Peace. He was born in 1830, and in 1858, he married Louisa Anne, daughter of Reverend Frederick Vincent. Burke traces the lineage back to William Drewe, who married Joan, daughter of John Prideaux of Orcharton. From this marriage sprung the eminent family of Drewe of Sharpman, Killerton, and Broadhembury, Devon. One descendant of this branch was Sir Thomas Drewe, of the Grange, Broadhembury, who received Knighthood at the coronation of King Charles I, and was also Sheriff under King James I. He built the family estate of the ancient grange of Donkewell Abbey. He married Elizabeth, daughter of Sir Edward Moore of Odiham and had issue with her: five daughters (Mary, Elizabeth, Bridget, Jane, and Anne) as well as two sons (Thomas and Francis). His son was Francis Drewe, Esq. of the Grange who was born in 1604. Francis has a son named Thomas. Thomas Drewe was an Esquire of The Grange born in 1635. He was a Member of Parliament for Devon in 1699. In 1661, he married Margaret, daughter of Sir Peter Prideeaux, and had two daughters with her: Elizabeth (married Sir Charles Chichester) and Margaraet (Charles Kellond). He died in 1707 and was succeeded by his brother Francis Drewe, Esq. of the Grange. He was born in 1636 and he married Martha Webb, with whom he had four daughters. 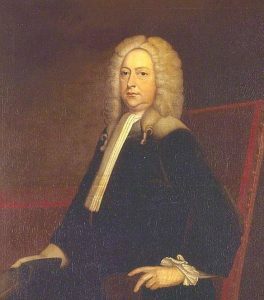 He died in 1710 and was succeeded by his brother Edward Drewe, Canon of Exeter. Edward married Joan, daughter and co-heir of Rev. Dr. Anthony Sparrow, and had one son with her named Francis. Francis was an Esquire of the Grange and was born in 1673. He was a Member of Parliament for Exeter in 1714. He married Mary Dave, daughter of Humphrey Biggood of Rockbeare and had issue with her: Francis, Edward (of Starpoint and Exeter), Mary (born 1703 and married Thomas Carew), and Elizabeth (married Theophilus Blackall). He was succeeded by his son Francis. His son Francis Drewe, Esq. of the Grange who was born in 1712. He was High Sheriff in 1739 and in 1737, he married Mary, daughter of Thomas Rose of Wootton Fitzx-Paine. They had six children together: Francis Rose, Thomas Rose, Richard Rose, William Rose, John Rose, and Reverend Herman. He later married Mary, daughter of Thomas Johnson, and had issue with her: Reverend Edward (Rector of Willand), Samuel (of London, born 1759, married Selina Thackeray), Mary (married John Fownes Luttrell), Catherine, and Charlotte (married Francis Fownes Lurttrell). His eldest son was Francis Rose Drewe, an Esquire of the Grange, who was born in 1738. He purchased Leyhill, Payhembury in Devon, the ancient seat of the Willoughby family. He died in 1801 and was succeeded by his brother, Thomas Rose Drewe, and Esquire of Wootton Fitz Paine of Doreset and later The Grange in Devon. He was born in 1740 and married Betty, daughter of Benjamin Incledon Esq. of Pilton, Devon, and died without children. He was succeeded by his brother, William Rose. He died without an heir and in turn was succeeded by his brother John Rose Drewe, an Esq. of The Grange. John was born in June of 1747 and he married Dorothy, daughter of Reverned Charles Bigood of Rockbeare, and had one son and one daughter with her: Charles and Dorothy Rose (married William Miles of the Life Guard). John died in 1830 and was succeeded by his nephew, Edward Simcoe Drew who was born in 1805. Edward was a Justice of the Peace, Deputy Lieutenant, and High Sheriff in 1845. In 1828, he married Jane Susan Adele, daughter and heir of Jean Gaspard Prevost of Conseiller d’Etat of the Canton of Geneva (Switzerland). They had four children together (Francis Edward, mentioned at the beginning of this paragraph), Edward (Captain 1st Devon Militia born in 1834, married Margaret Louisa), Albert Cecil Robert (born 1839, 5th Fusiliers), Alice Fanny (married Honorable Rev. John Gifford), and Adele Caroline (married John Arthur Locke of Northmore House). The Drewe Coat of Arms or Family crest was: Ermine, a lion passant gules, with a crest: On a mount vert, a roebuck salient or. The book Genealogical Guide to the Early Settlers, mentions five people bearing this surname: 1) James Drew of Portsmouth in 1667, 2) John Drew of Plymouth who married a woman named Hannah and had issue with her: Elizabeth (1674), John (1676), Samuel (1678), Thomas (1681), Nicholas (1684), and Lemuel (1687), 3) Robert Drew of Boston who in 1656, married, by Governor Endicott, Jemima, daughter of John Clark, 4) Rosemund Drew of Roxbury who ion 1678 married Mary Druce, daughter of Vincent, and had issue with her: Jonathan, Ebenezer, and Abigail, and 5) William Drew of Dover in 1648, who died in 1669 leaving a wife named Elizabeth and had issue: Francis, John, and maybe James and William. Thomas Drew came to the Barbados aboard the Hopewell in February 1634. George Drewrie, aged 19, came to New England aboard the Abigall in June of 1635. A one Edward Drew was recorded as living in Virginia (in Elizabeth Cittie?) in 1623, who may have came aboard the Sampson in 1618 at the age of 22. A one William Drew was a convicted rebel who was shipped (from Taunton) to the Barbados in the 17th century. Other settlers in colonial America with the surname Drew are Henry (Virginia 1635), William (Virginia 1636), Mary (Virginia 1702), John (Boston 1716), Catherine (New England 1723), Francis (New England 1727), and Martha (New England 1728). The Drew family motto is Drogo nomen et virtus arma dedit, meaning “My name is Drogo and it was given to me for my warlike manner” or “Drogo is my name and valour gave me arms”. The Drew family descends from the Drogo family and had related genealogy and ancestry. We have 14 coats of arms for the Drew or Drewe surname depicted here. These 14blazons are from Bernard Burke’s book The General Armory of England, Ireland, and Scotland, which was published in 1848. The bottom of this page contains the blazons, and in many instances contains some historical, geographical, and genealogical about where coat of arms was found and who bore it. People with this last name that had armorial bearings include: 1)Edmond Drew of Hayne, Devon, a squirrel, etc. by Cooke and 2) Sir Edward Drewe, Sergeant at Law, of Killerton, Devon, patent 1593 by Cooke, and 3) Marin Drewe of Sharpeham, Devon, confirmed 1560 (Harvey’s Grants). Famous people with this last name include: 1) Colonel Benjamin Alvin Drew (1962) who is an officer in the US Airforce and a NASA astronaut, 2) Daniel Drew (1797-1879) who was an American railroad magnate and founder of Drew University in Madison, New Jersey, 3) George Franklin Drew (1827-1900) who was the 12th Governor of Florida, 4) John Drew (1827-1862) who was an Irish American stage actor and theatre manager, 5) Kara Elizabeth Drew (1975) a professional wrestler and valet in the WWE known as “Cherry”, and 6) Samuel Drew (1765-1833) who was an Cornish Methodist theologian whose work covered the human soul and nature of God. Robert Drew born 1807 NJ who died in Ohio was an ancestor of mine, on my Moms Side. He was a Farmer, and he has no records before his birth of 1807 or a genealogy line of his parents, siblings, or nationality.